My thumbnail broke last night on a ring pull It didn’t just break. It fractured halfway down the nail bed. I’m trying to be grown up about it, honest I am! I mean, they’re nails for chrissake, and I was overdue a chop… but I didn’t wanna chop them down to my knuckles! ~ I can scoop product out of jars without that horrible “loadsofshitstuckundermynailsgetitoff” feeling. ~ I have stumpy nails. See where the break began? Stoopid ring pull. Ok, I realise this post is *incredibly* self indulgent, but I did have more in mind than just to invite you all to my pity party. See how yellow my nails are? That’s from using copious amounts of nail polish. You’re supposed to be able to avoid it by using a good basecoat. 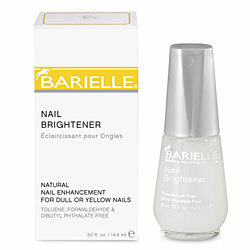 Not sure on that one, I do use good basecoats and it doesn’t seem to matter which brand I use… I still get yellow nails. Infact, as an ex-smoker… my nails have never been yellower than they are now. So my point is, this gives me the perfect opportunity to trial 3 things that have been waiting for a test. I have a sachet of this hiding somewhere in my bathroom cabinet, I shall dig it out and give it a try. One of the goodies Barielle sent me. I was a bit disappointed when I saw it was a cosmetic product as opposed to a treatment. 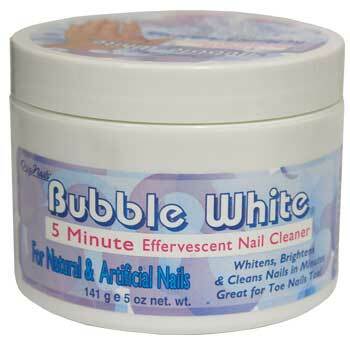 But if the Bubble White doesn’t do it’s job, I’ll be very pleased to try it! It’s been many years since I’ve worn glue-on nails… I hope technology has improved since then, or these will last about 45 minutes on my fingers. Welcome to my world! Any time I get any length on my nails they get ripped off at work. If you want some of those Nailene nails then email me at sirvinyavid @ hotmail. co .uk. They sent me a couple of sets and I can’t wear them at all. I’ll gladly send them to you. 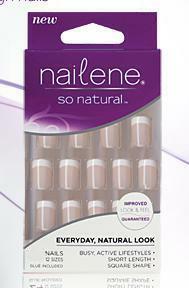 I think I saw Nailene nails in Boots yesterday, but I definitely saw them in Asda last night. Never used this brand myself. 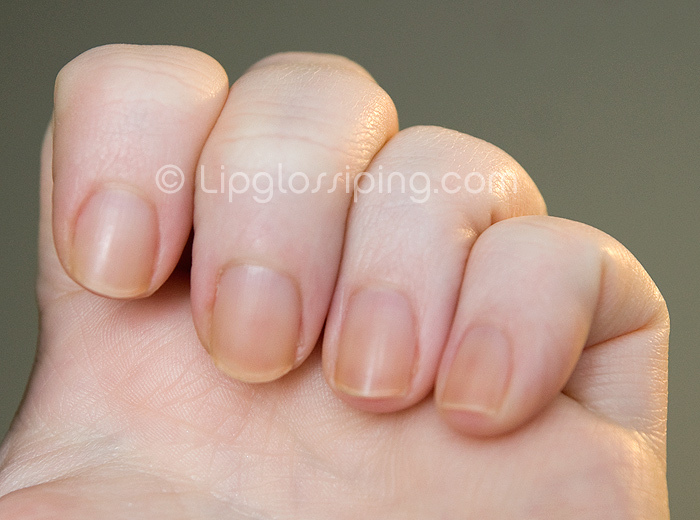 I use Elegant Touch on the rare occasion that I use false nails and have found that the shorter false nails feel better on my nails as they feel more secure. Or maybe I’ve got better at the glue application lol! Oh ouchy! You won’t be able to open soda cans as well as before but you can avoid scratching your iphone too eh! for an at home whitening try some whitening toothpaste (not gel, but paste), apply a nice later, leave it on for 5-10 minutes and then wash off. tada! Aww, that looks sore! My nails just don’t get anywhere near as long as yours were, but I use the side of my finger to lift ring pulls, or get a butter knife from the kitchen. Hopefully they will grow quickly again for you! @LionLovingTiger – I am now rocking a black sparkly polish thanks to your sound advice my love – and I’m adoring it! @Sirvinya – Super, super kind of you, thanks very much! @Sian – Not so much painful as annoying and disappointing.. I know they’ll grow but they felt all pretty! @Kim – I thought you’d empathise! Yeah, I was gonna go for some short ones. I bet my first attempt will be a complete mess! @Ndoodles – Always look on the bright side of life! @Georgie – Thank you very much, we can grump together! @Lizzard – Thank you, I shall try that! @Lisa – I’m getting Mr. L to open my cans for me from now on! !